Sri Babuji has given the following explanation of the meaning and purpose of satsang. Satsang has three meanings: ‘Sat’ means ‘truth’. ‘Sang’ means ‘communion’. Our communion with the truth, our attunement to the truth. That is real Satsang. ‘Sang’ with ‘Sat’. The second meaning is to be in the company of those who have realized the truth (Sat-Purushas). And the third significance is the company of like-minded people in which we are sharing and discussing with ardent devotion about truth. We have to do Satsang in all the three ways. When we are alone with ourselves we do the first type, thinking about truth and about what we really need. Whenever we have an opportunity we have to meet and take the guidance and blessing of those who have realized the truth. Thirdly, if it is not possible to be in the company of saints we have to associate ourselves with like-minded people, sit together and discuss about truth and Satonnectedness and friendship grow with like-minded people. Try to transform your social contacts into spiritual contacts. Share! Try to talk to others in their own way, in the way that they can understand, in the way of human experience, and not in abstract philosophical terminology. 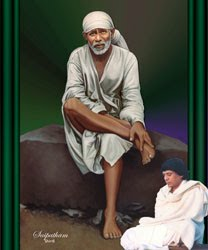 Weekly Satsangs: Every week Sai devotees meet to pray and spend time on listening to Sai Satcharitra ,Listening to Saibaba Namam, it is open to all public, any one can attend.